There's been a bit of talk on social media lately about the part of Cromer I live in, Suffield Park. There are many, myself included, who feel that this area is largely ignored by the local and district council in favour of Cromer town centre, mainly because the town centre attracts a lot of tourists, while the Suffield Park area doesn't. 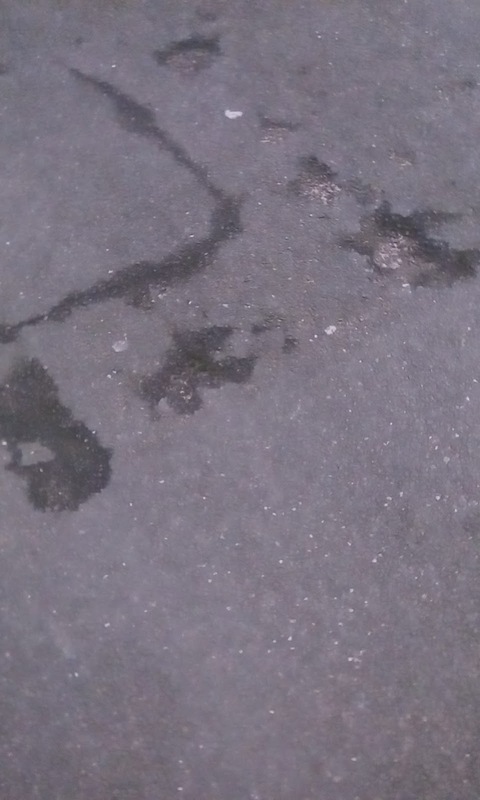 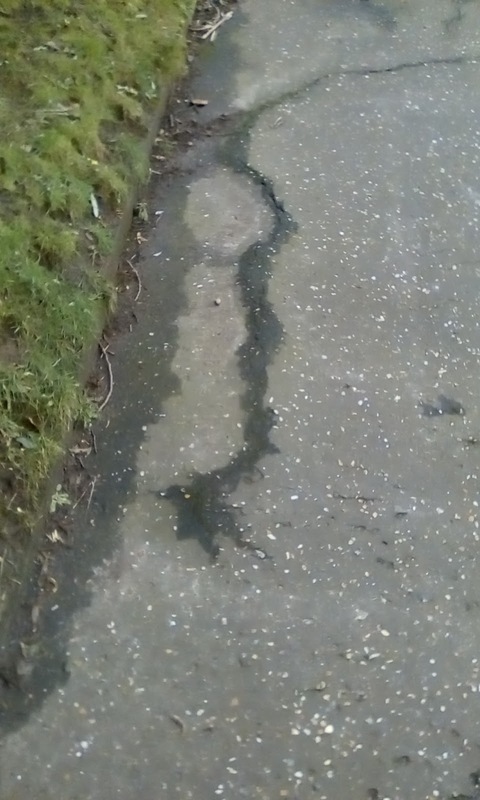 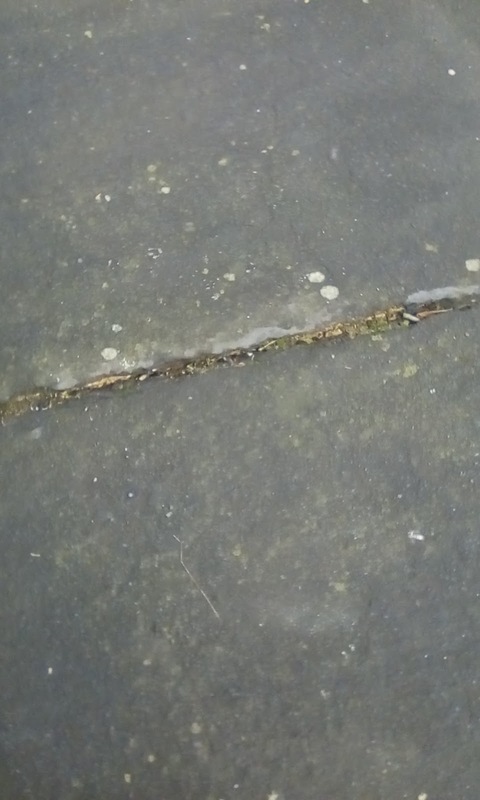 Because of this I've decided to document what I see every day, taking the route I normally use when I take my faithful friend Monty for his daily walk. 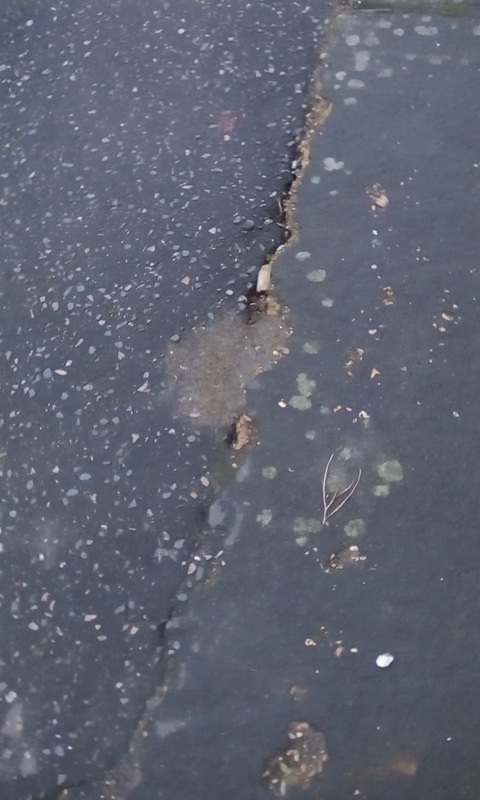 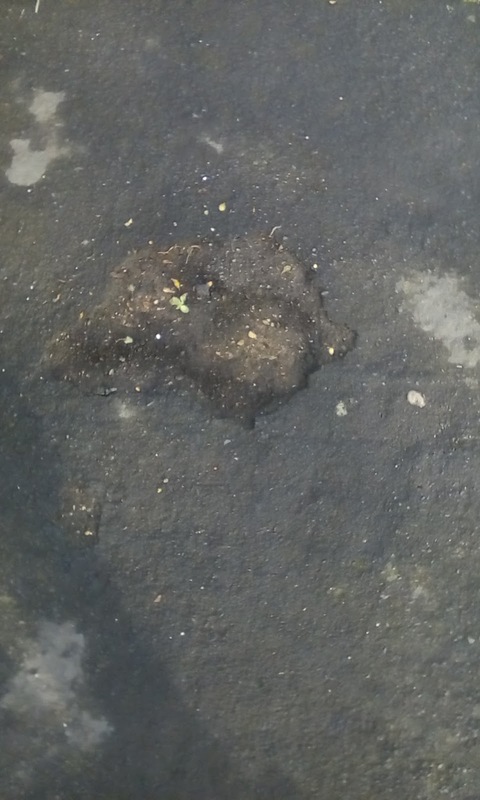 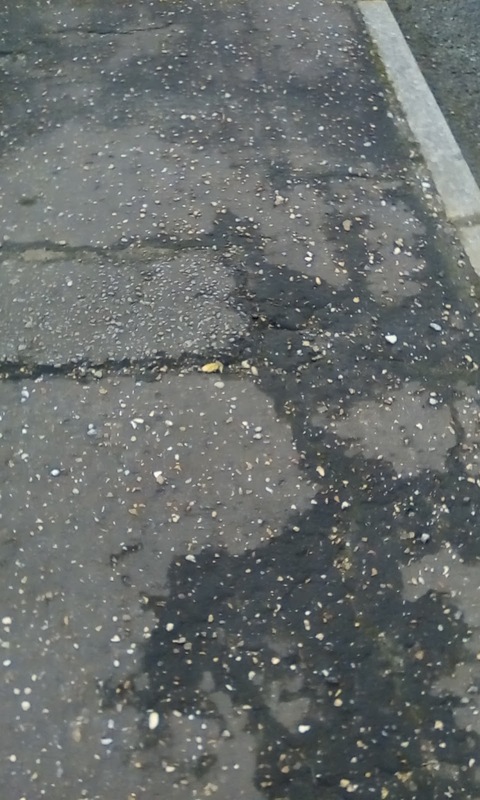 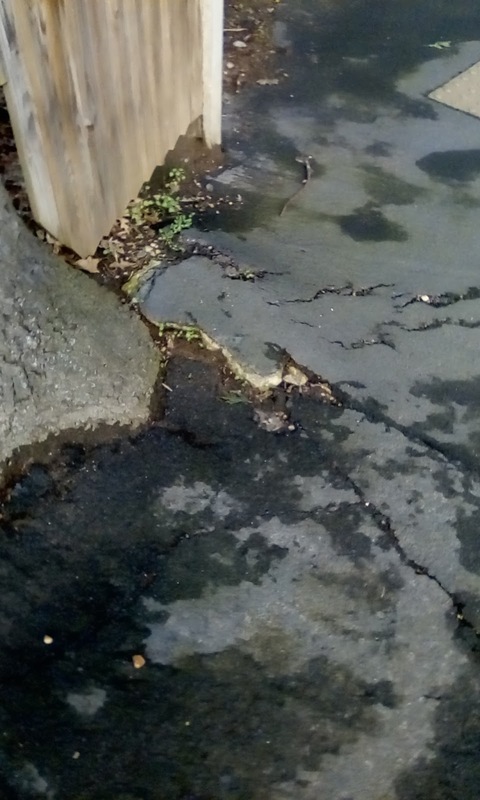 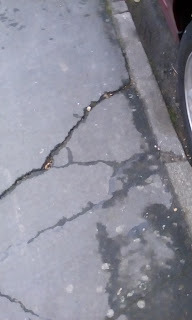 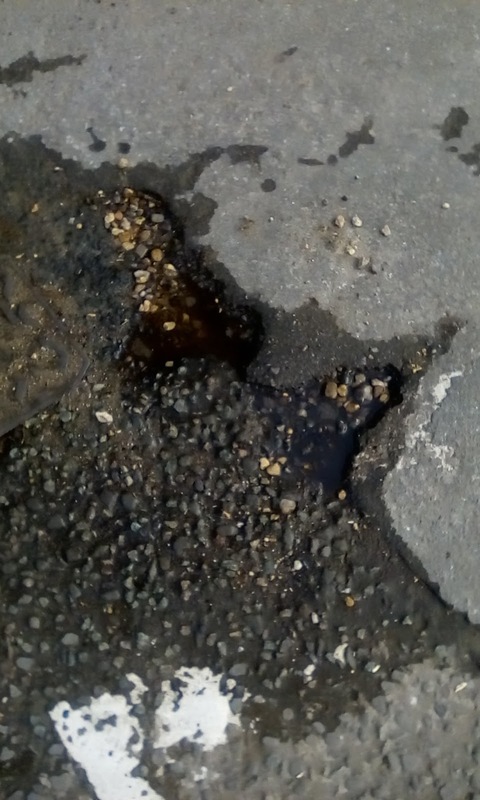 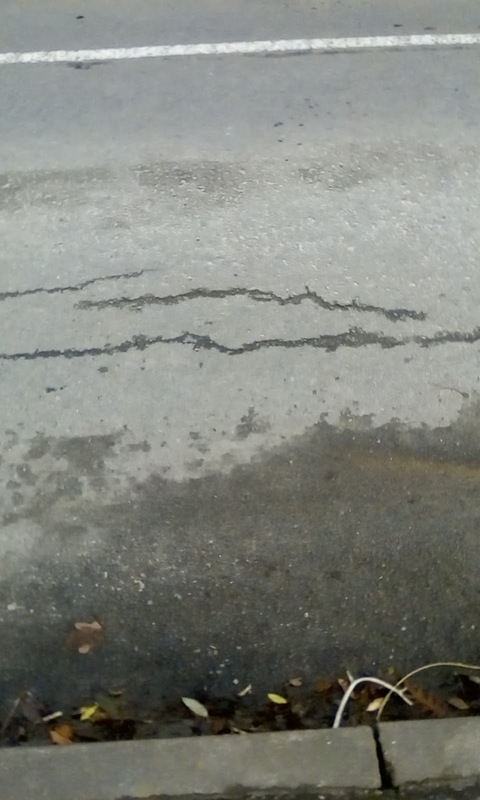 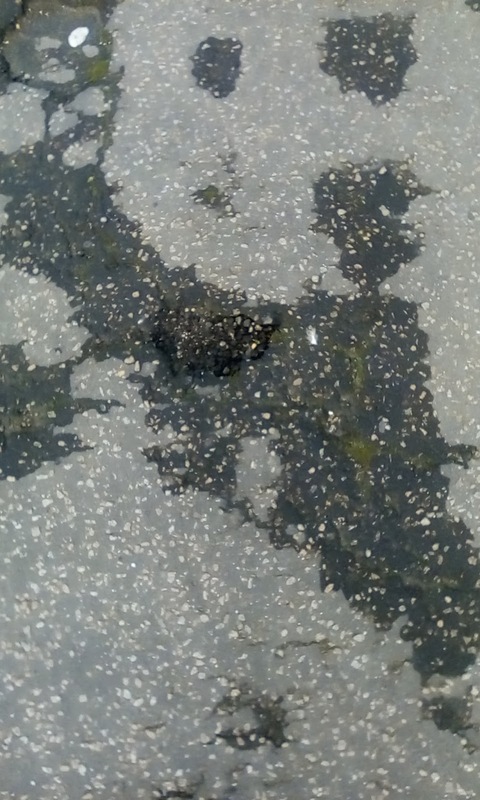 My journey began with a left turn out of my gate onto Lynewood Road, and immediately I saw damaged paths, some by tree roots, drains which are in danger of getting blocked because we never see a road sweeper around here, pot holes developing on the path and in the road. 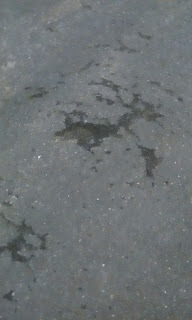 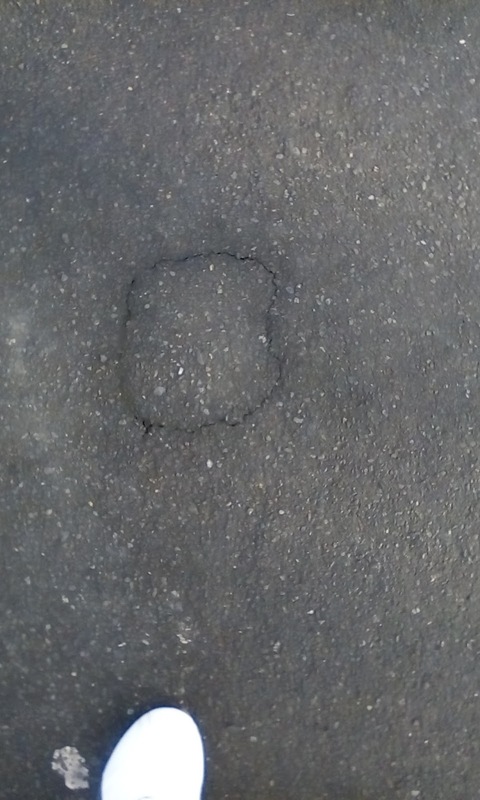 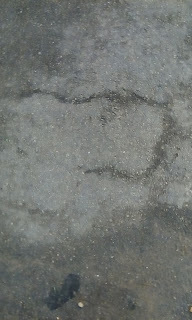 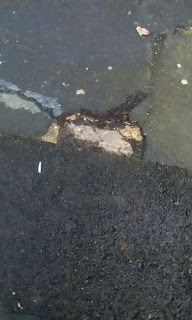 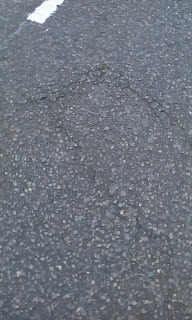 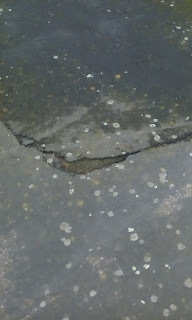 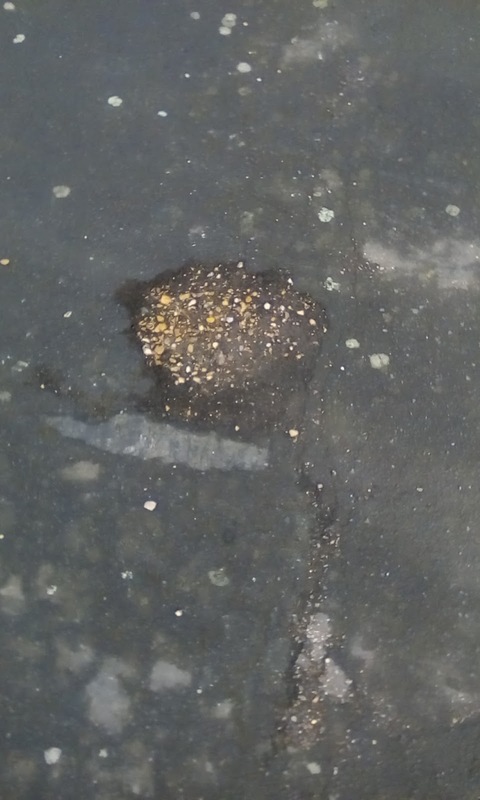 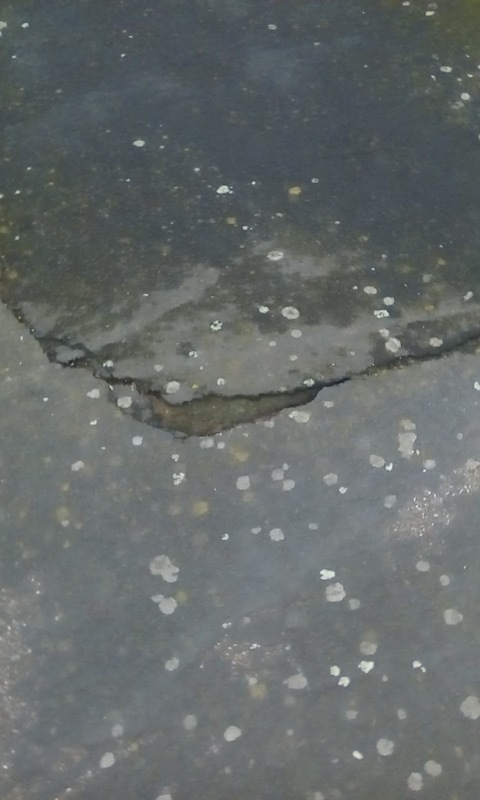 Turning left onto Northrepps Road, the first thing I saw was a pothole developing on the junction. 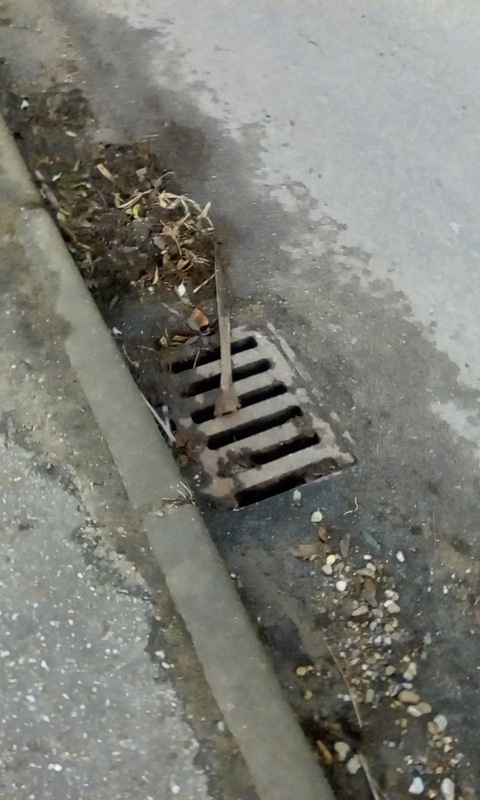 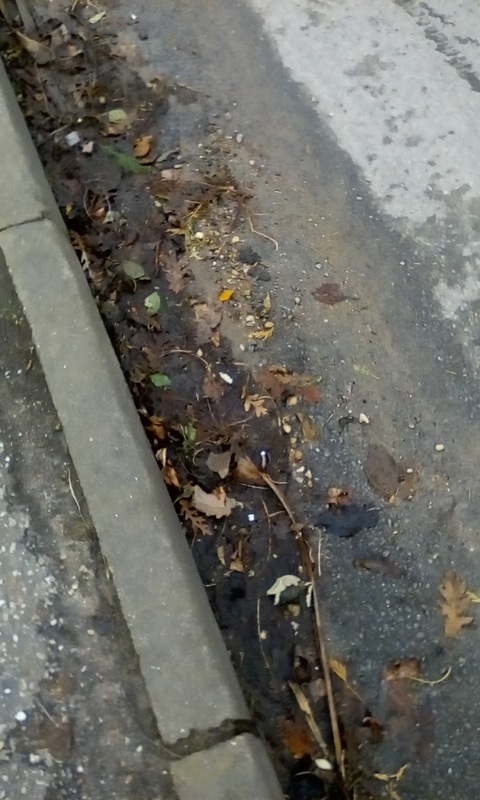 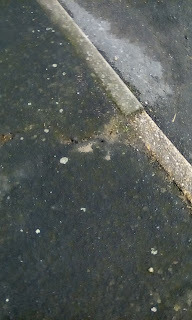 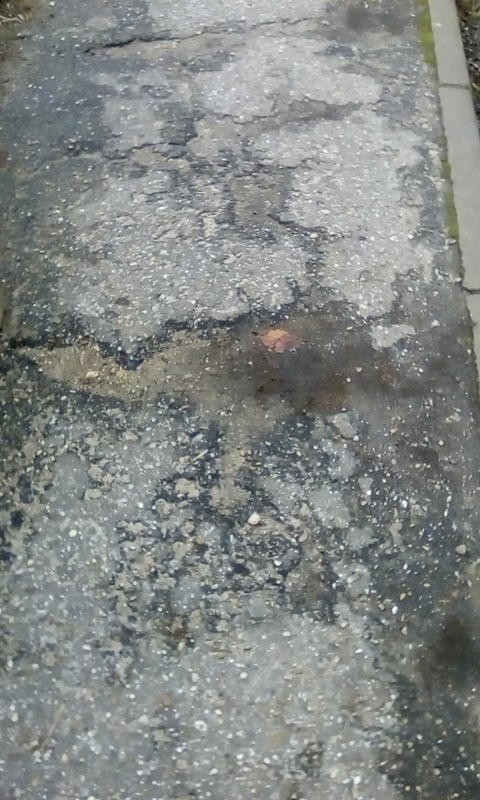 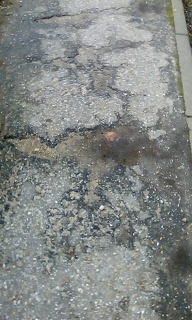 A few seconds later I saw the first of two drains that have been blocked for well over a year, piles of leaves on the path and in the gutter which have been there since the autumn, once again due to the roadsweeper not paying us a visit, as well as more damage to the path and the road. 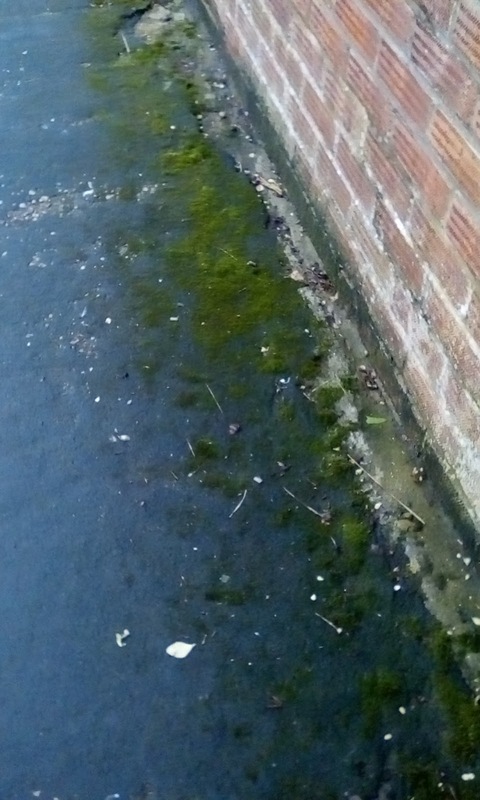 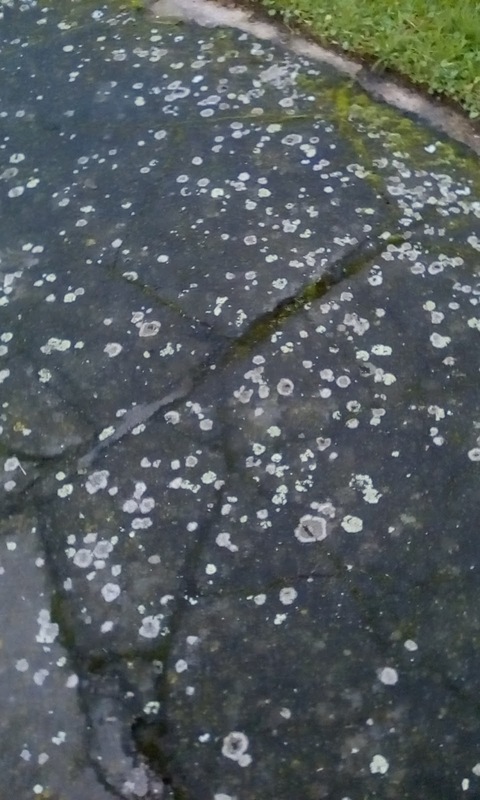 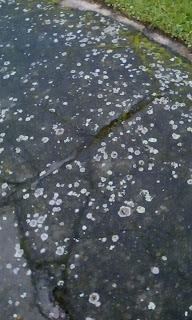 A left turn onto Park Road showed more damaged paths, with a fair amount of moss growing on them in some places. 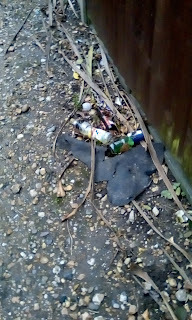 My journey past the playing field saw no improvement on the path or the road as I turned left onto Station Road. 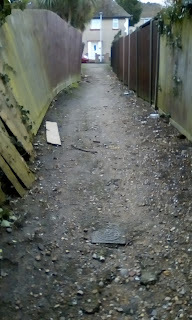 Another left turn, this time through Ferns Close and to the alley that connects to Links Avenue shows that this alley is not just in need of a little TLC but of a clean-up as well. 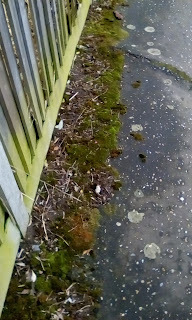 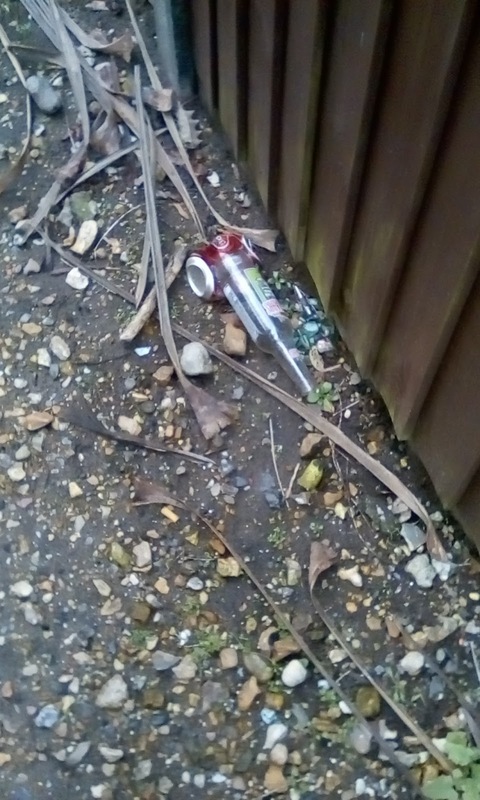 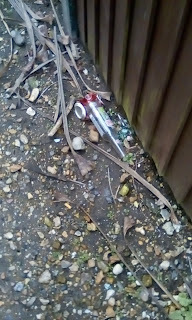 Not only is it a little treacherous underfoot the fence on one side is close to collapse, and there's also quite a bit of litter here as well. 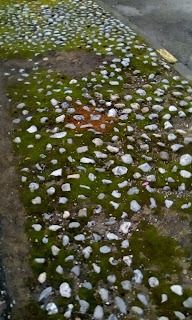 A left turn onto Links Avenue saw more of the same, with cracked paths, cracked roads, and a lot of moss. 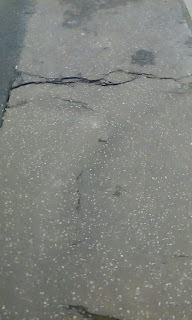 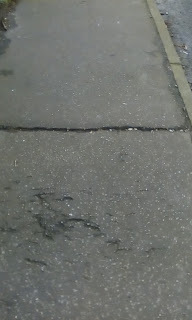 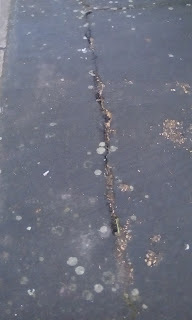 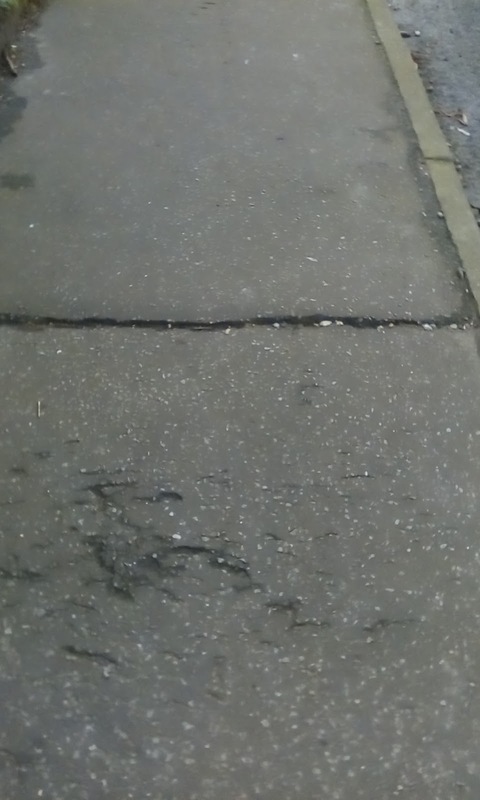 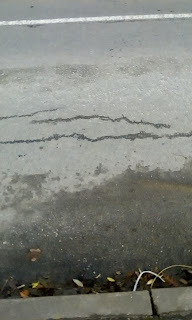 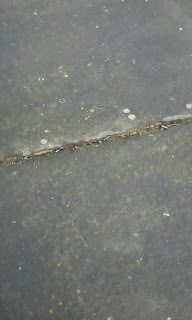 A right onto Queens Road shows yet more damage to paths and roads. 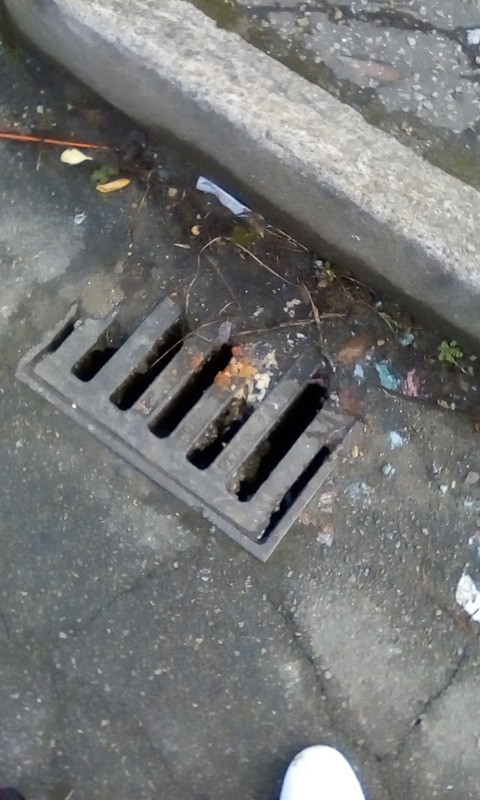 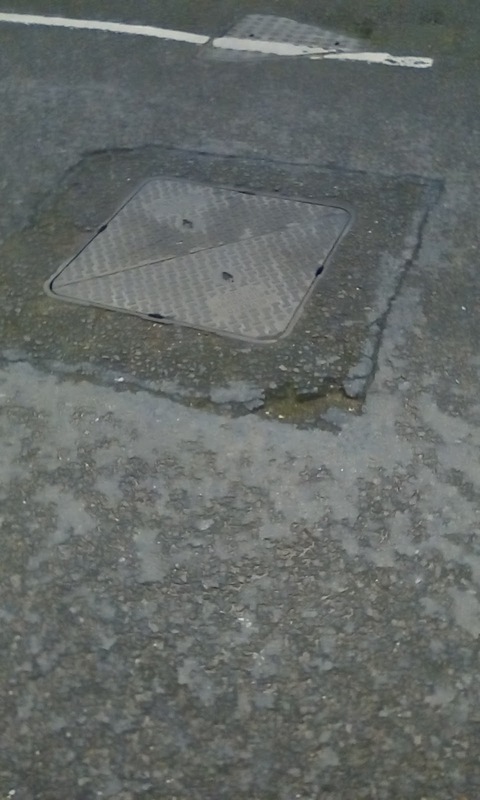 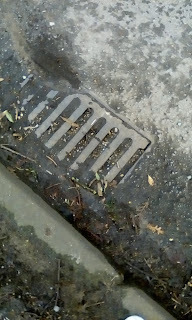 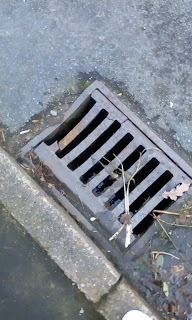 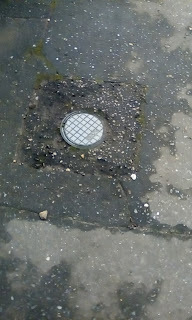 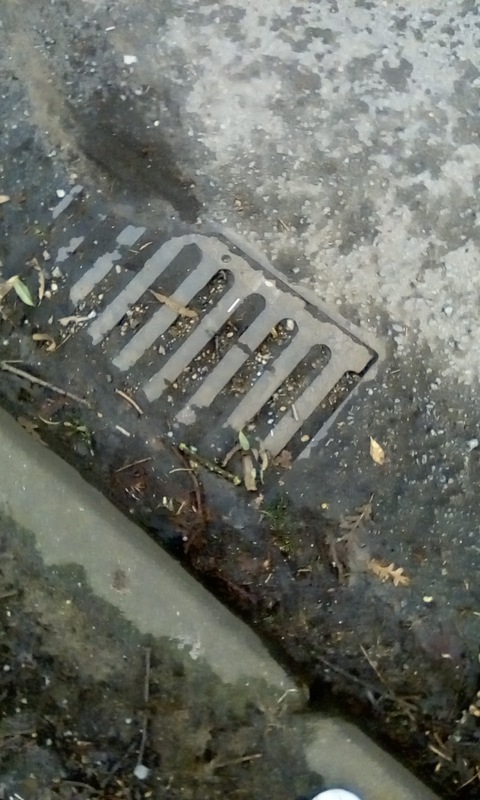 Left back on to Lynewood Road, and just a few feet from my gate there's this, a broken drain cover which the council have no interest in repairing, and the end of my journey. 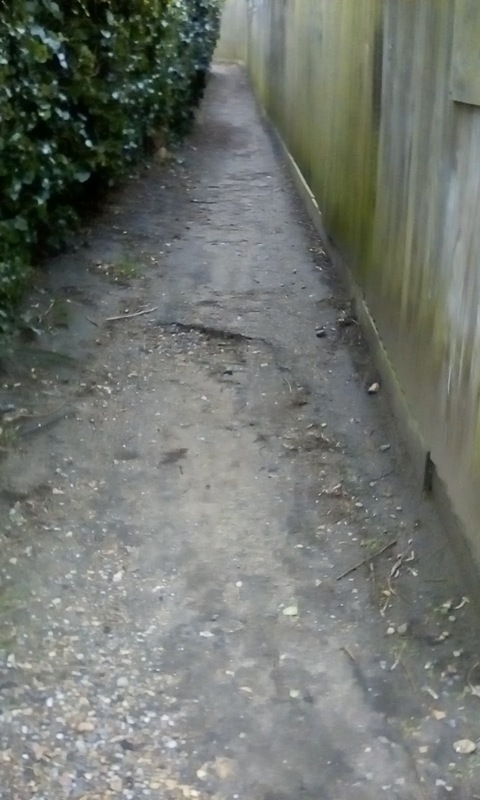 This somewhat brief twenty minute journey is just a small example of how the Suffield Park area of Cromer is in need of quite a bit of TLC at the moment. I've lived here all of my life, and I simply can't remember it being this bad before. 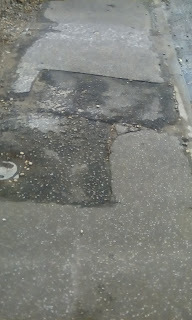 To many people it seems as if the town and district council have no interest in the upkeep of this part of Cromer. 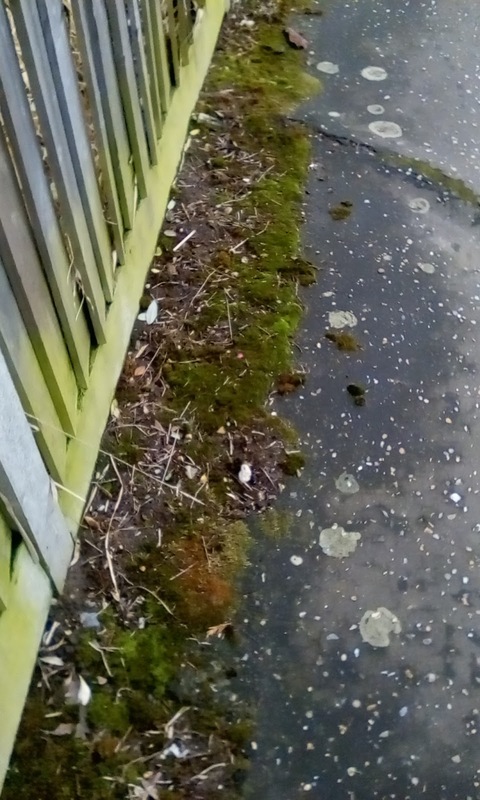 It seems as if they're only interested in making the town centre attractive for the tourists, and they're not interested in doing things for the residents who live here all year round. 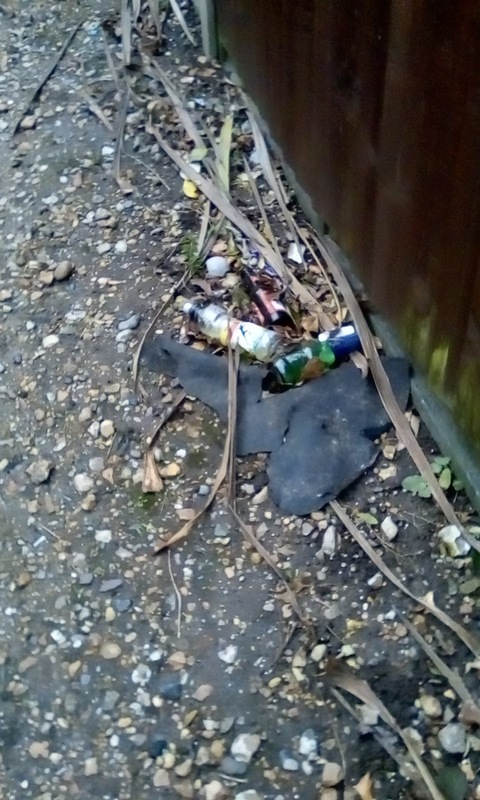 By putting these photos here on my blog, as well as posting them on social media, it's my hope that the powers that be will finally sit up and take notice and realise that something has to be done. 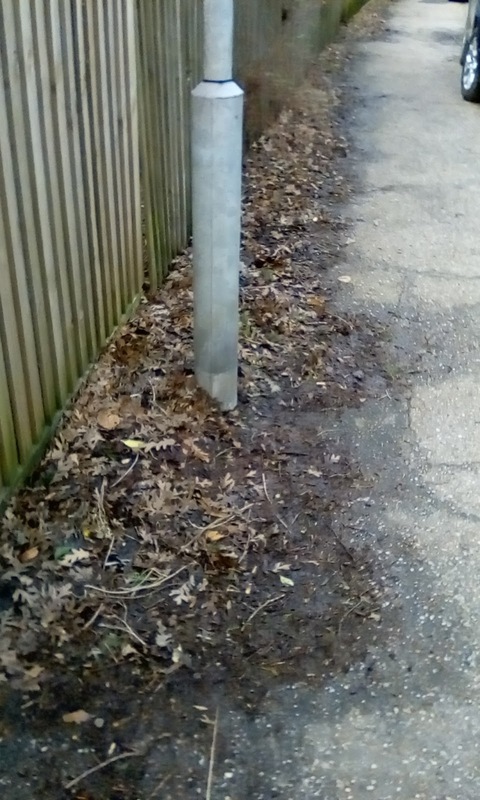 It's not just Lynewood Road, Links Avenue, Station Road and Park Road that need attention, the entire Suffield Park area needs attention, and I think it's about time that our local authorities, and especially the two local councillors that represent the Suffield Park area, do something about this. 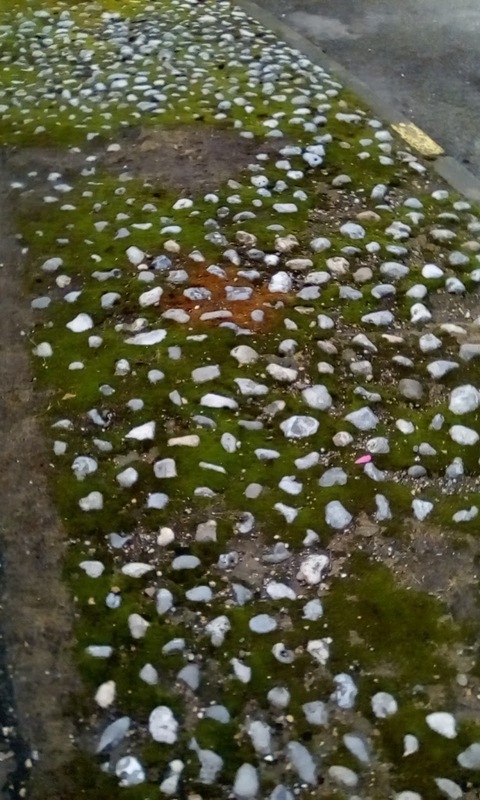 After all, if the town wants to attract new residents, both young and old, to the area, then surely it's the entire town that should be looked after, and not just the areas that the tourists see.